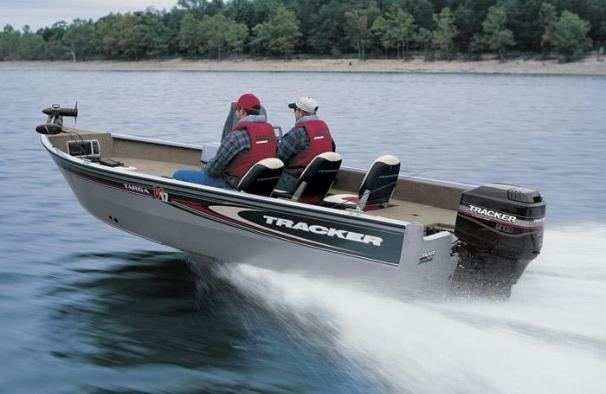 Boat Description Our mid-sized single-console Targa 17 SC is an ideal fishing boat for the serious angler who wants Deep V handling and tournament-ready features in a wide, stable, compact package. This roomy 17-foot `fishing machine` has a flexible layout with three fishing chairs and six seating positions that encourage fishing from both floor level and casting decks. Heavy-duty hull provides extra stability and amazing storage in a compact package. Package includes Mercury Pro Series outboard, tilt steering, Lowrance X47 fish finder, Minn Kota foot-controlled trolling motor, 19-gallon bow livewell with baitwell, 28-gallon aft livewell with baitwell insert, centerline rod storage plus custom trailer with EZ lube hubs, GalvaShield protection and swing-away tongue. Dry Weight 1400 lb approx.